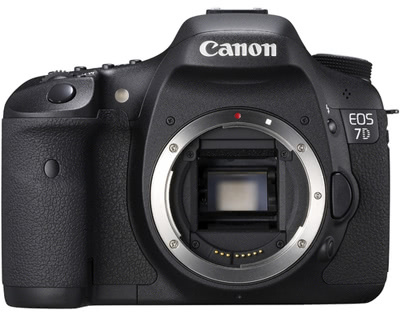 The Canon EOS 7D Digital SLR is the first iteration of the improved 7D Mark II. It sports a relatively quick FPS shooting speed of 8 – suitable for most sports and wildlife applications (which is helped by the weather resistant build). High quality lenses, such as the Canon EF 24-70mm f/2.8L USM II Lens or the Canon EF 70-200mm f/2.8L IS USM II Lens (rentable separately) pair well with this camera as well as EF-S lenses, which are designed specifically for crop sensor cameras like this one. The 7D features an electronic leveler that can be viewed both on the LCD screen and in the viewfinder and displays both roll and pitch in 1º increments, which is a useful feature for landscape photographers. This camera also supports the ports needed for most video applications, though the 7D Mark II supports more features. • Continuous video shooting is possible for approximately 12 minutes (limited by product specifications, default setting). • Please note that the battery grip for the 7D is not interchangeable with the grip for the 7D Mark II. Rent the BG-E7 for the 7D and the BG-E16 for the 7D Mark II.